Chiller pumps have the ability to meet various application demands within many industries. Chiller pumps cool liquids to a desired temperature in order to cool the entire system. The chiller pump will transfer a large volume of water to a smaller one through a rotating shaft, and this process continues to cool the liquids. BPH has a vast inventory of chiller pumps to meet your industrial applications. From centrifugal and submersible to stainless steel pumps, we carry chiller pumps from the most recognizable manufacturers. Chiller pumps are designed to handle a wide array of liquids that need to be cooled to different temperatures. 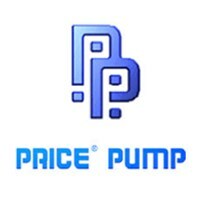 Browse our in stock chiller pumps below to find the ideal product for your specifications.